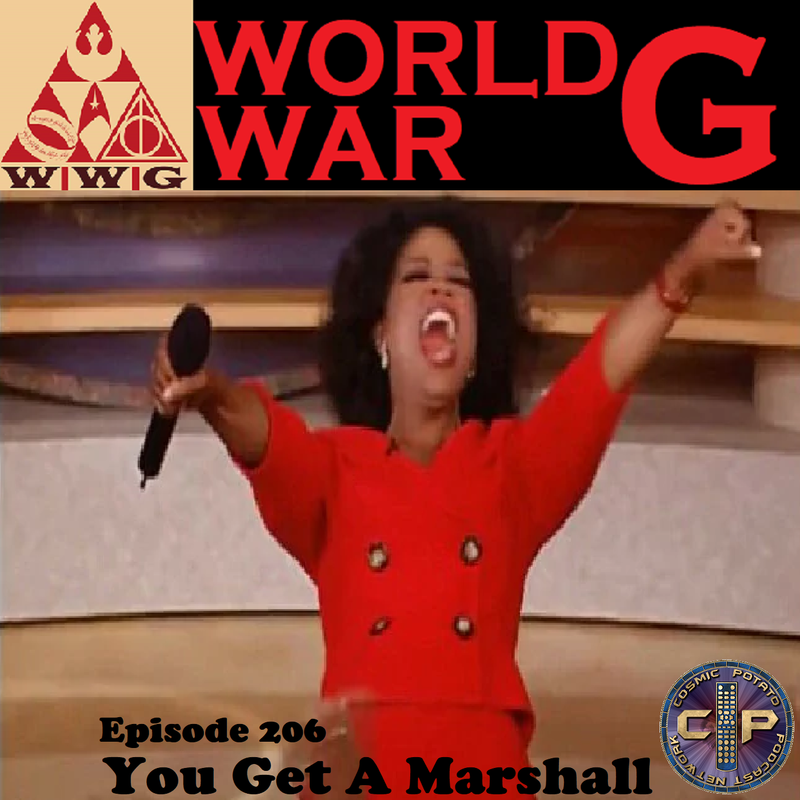 Cosmic Potato: World War G #206: You Get A Marshall! World War G #206: You Get A Marshall! In honor of THE BIG GAME the ten best football movies--Black Panther is returning to theaters for Black History Month and you can see it for free--James Gunn set to direct Suicide Squad 2--A new Alice video game--Harley Quinn is Batman's new sidekick--A lot of Fast and Furious movies are coming--A new smaller Nintendo Switch will soon be available--Blumhouse is looking to create it's own shared universe--Shaggy petitioned to be in Mortal Kombat a.k.a. Troy gets triggered--Kevin Smith thinks Tom Cruise Wolverine makes a billion dollars--Mobile game recommendation 80's Mania Wrestling.